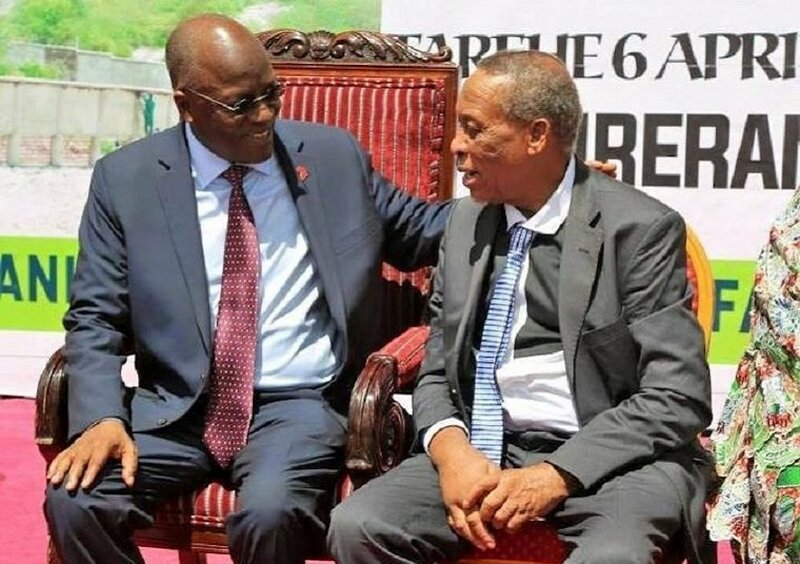 Tanzanian president John Magufuli (L) and discoverer of Tanzanite Jumanne Mhero Ngoma (R) in April 2018 when he was rewarded. Tanzania mourns the demise of Jumanne Ngoma, the person who discovered Tanzanite several years ago. Mr Ngoma died aged 80 on Wednesday, January 30, 2019, at the Muhimbili National Hospital (MNH) where he was receiving treatment. In an interview with the national paper The Daily News, the daughter of the deceased, Asha Ngoma, confirmed the death of her father saying his death came when they least expected. Mr Ngoma who was born at Makanya Village in Same District, Kilimanjaro Region, in 1939 was the man behind the discovery of Tanzanite, a striking blue jewel most gemologists estimate to be 1,000 times rarer than diamond, in early 1967. The then 28-year-old man hadstumbled on one of the world’s most sought-after minerals which can only be found in one place on Earth – Tanzania. Until April 2018, Ngoma was helplessly living in poverty despite his discovery of a multi-billion industry. He had only been issued with a certificate of recognition and a financial reward of 50,000 Tanzanian shillingsfor his efforts in 1980. 51 years later in April 2018, President Magufuli rewarded Ngoma a sum of 100 million Tanzanian Shillings (USD 44,000) following a pledge he had made days earlier when speaking at the official launch of the perimeter wall built around tanzanite mines in Mererani area in northern Tanzania’s region of Manyara. Hailed as a hero of the nation, Mr Ngoma has left behind a mark for his country that cannot be erased.